Vintage lovers, my vintage dedicated web digs are now live at victorylamour.com and all future vintage and retro blog posts will be found there. 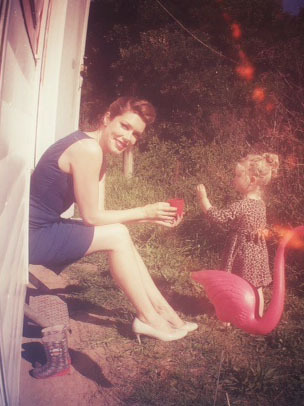 At Victory Lamour I’ll be focusing on midcentury history, 40s and 50s fashion and film, as well as sustainability and recycling methods, authentic vintage and retro reproduction fashion, vintage caravans (and their repairs), gender and feminism, and the new body-positive pin-up movement. Don’t get snookered into the false notion that you have to be uncomfortable to dress well, just because what you see in brand clothing stores and glossy magazines is breathtakingly impractical. I recently did a shoot with Bek Morris, Australia’s Bunny Yeager. 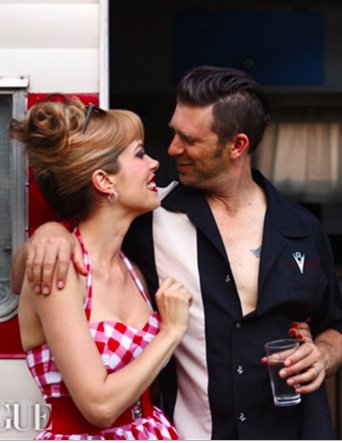 She is the powerhouse behind Bexterity, she runs her own photography business and reproduction vintage clothing store, has a talent for creating classic 40s and 50s pin-up looks on all her varied clients, and personally handles every aspect of her photo shoots. We enjoyed our first 50s Fair yesterday, put on by Sydney Living Museums, the Historic Houses Trust. The event has run for the past 18 years to showcase the 1950s architecture of Harry Seidler’s iconic masterpiece, Rose Seidler House.